Now that's a [email protected] one @Hamster, I will go do a recon on my shares tonight and see if it all adds up. "The total bundle investment limit has been reached." and it won't let me purchase, even with the demo money, any ideas?? These easyequities baskets actually seem to do ok. Put R50 into one to test. 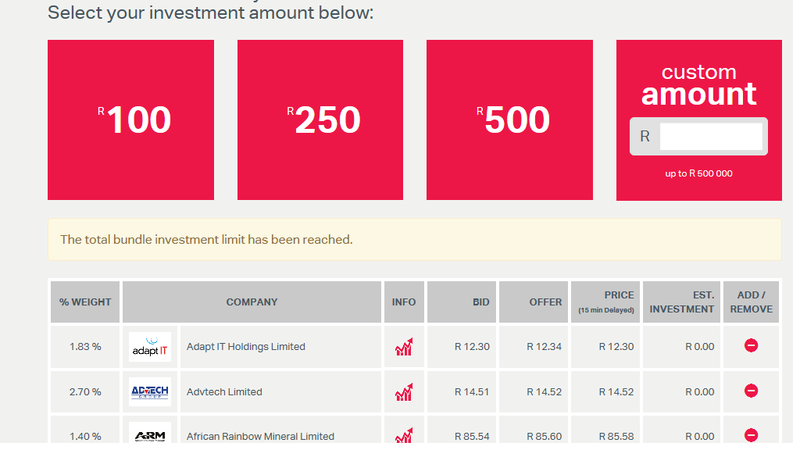 Also put R100 into DBXWD, DBXWD is haemorrhaging at the moment (the uk vote thingy I guess) but the basket @R50 is keeping my total at more or less R150. I did modify the basket before purchase (removed tobacco and some of the property things). unfortunately not available for existing investors. I actually removed a bunch of the stuff from the basket before purchasing, already had around R100 DBXWD so now there is a wall of companies. 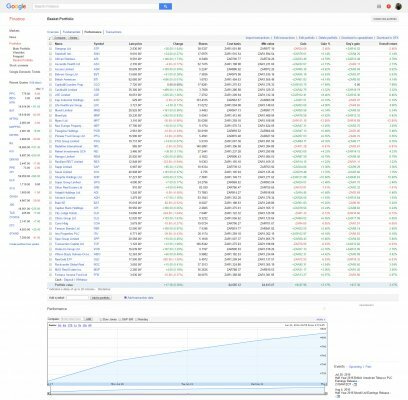 Not sure if you knew this but you can "edit portfolio" and select the default currency for your portfolio so that the total amounts show up in rands as well. 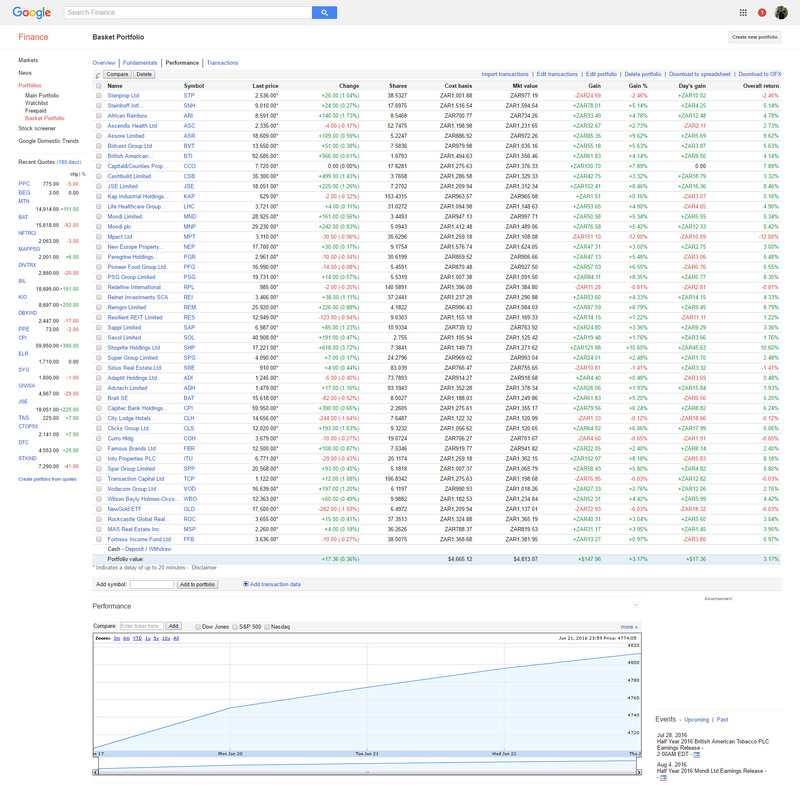 Google killed the google finance api about 2 years ago so it is probably just a matter of time before they kill the complete google finance feature. I was wondering where this option was hiding.